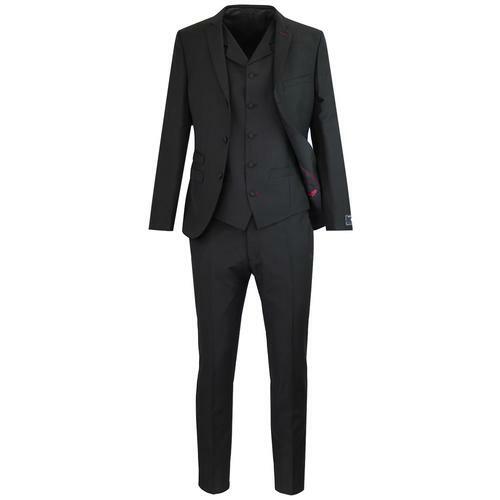 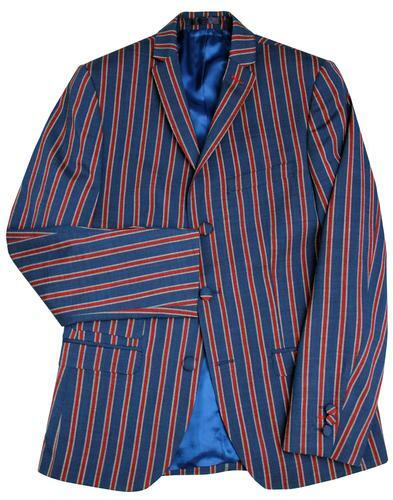 Home Mens Clothing Jackets Men's Tailored Suit Blazer in Mod Regatta Boating Blazer Stripe. 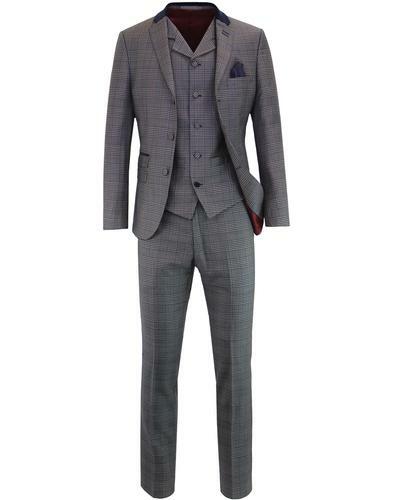 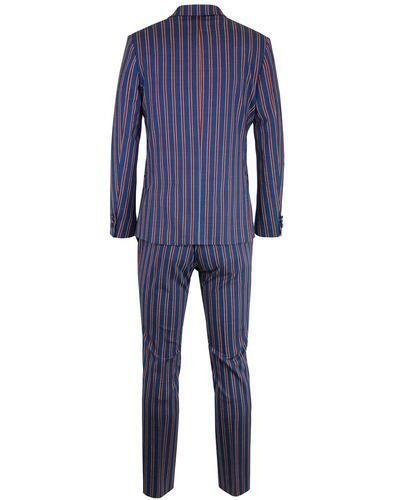 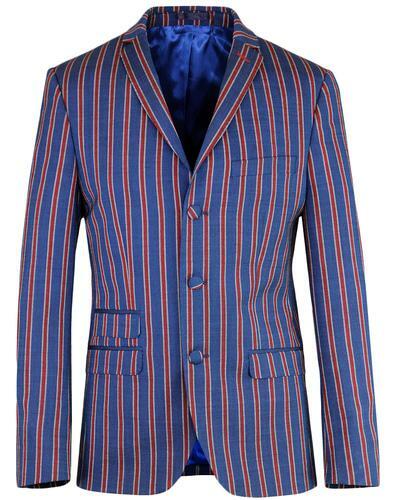 Men's Tailored Suit Blazer in Mod Regatta Boating Blazer Stripe. 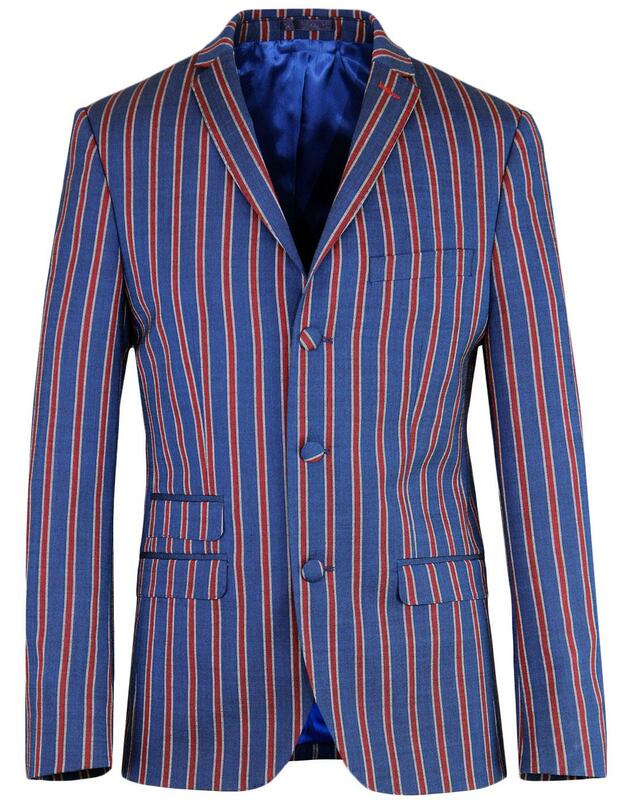 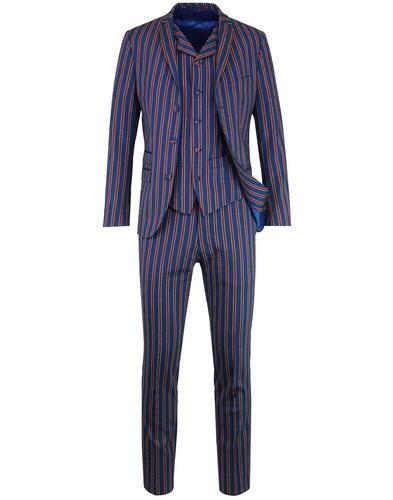 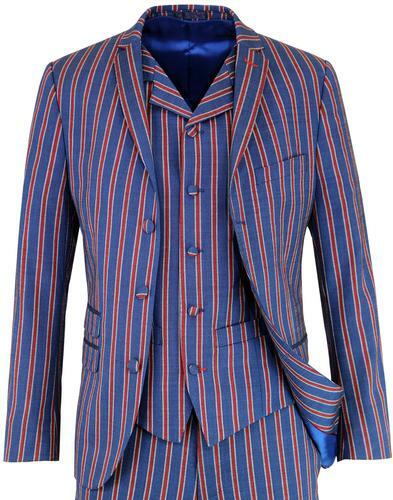 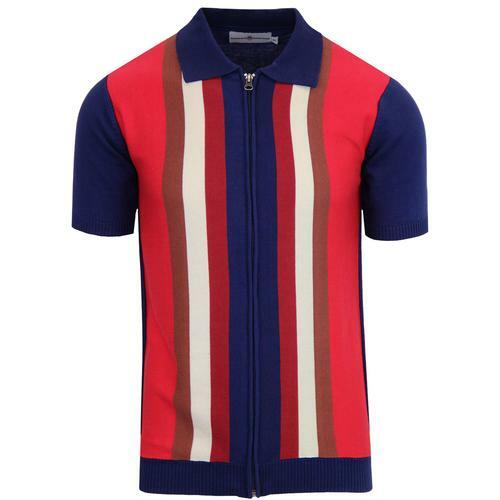 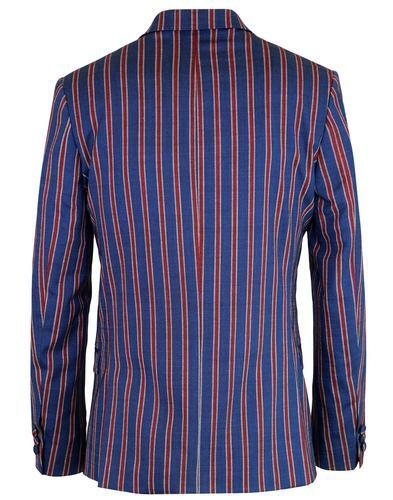 Men's tailored suit blazer jacket in blue and red mod boating blazer stripe in a slim fit. 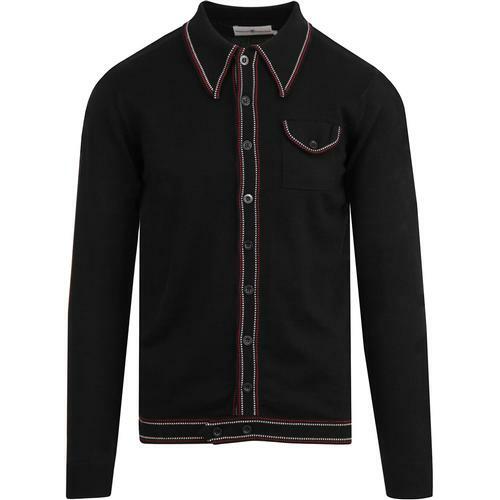 3 button, single breasted jacket with self covered buttons. 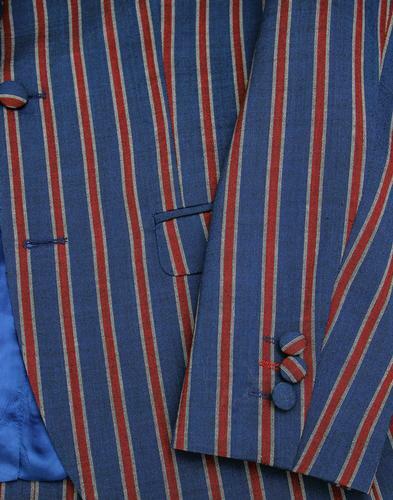 2 pockets plus mod ticket pocket. 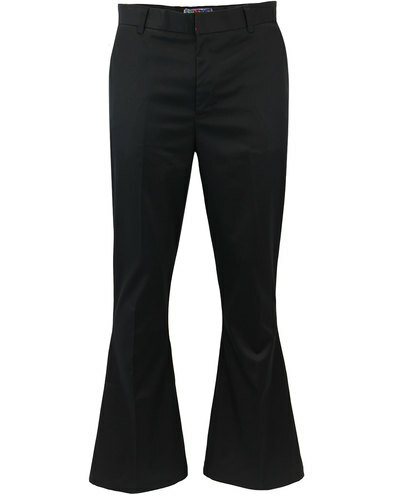 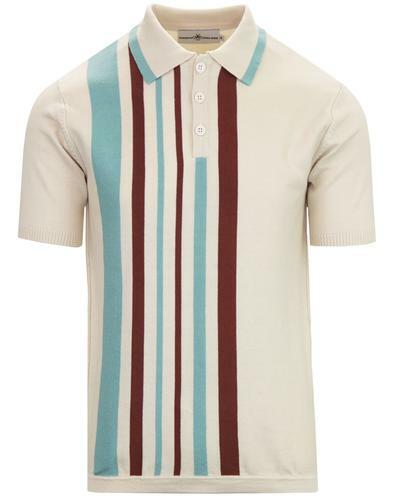 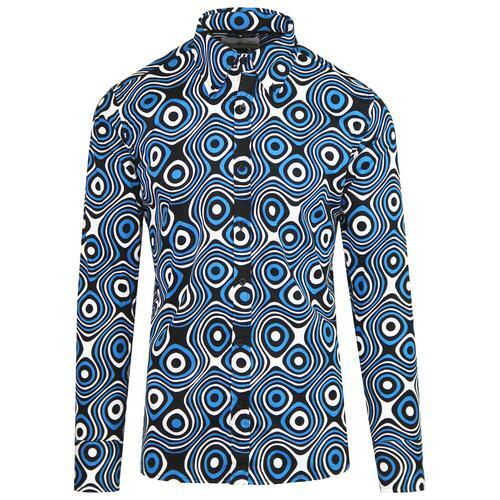 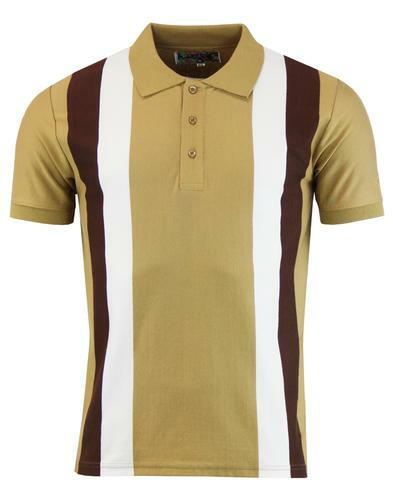 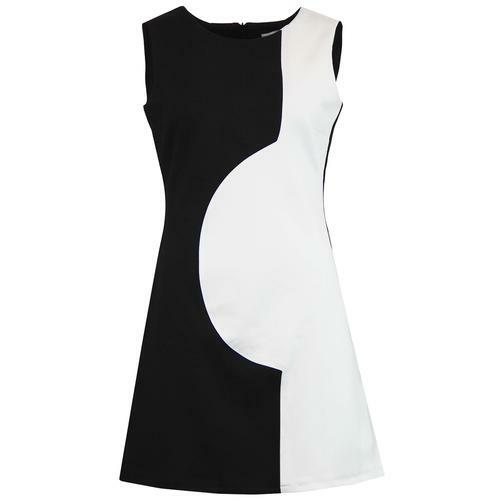 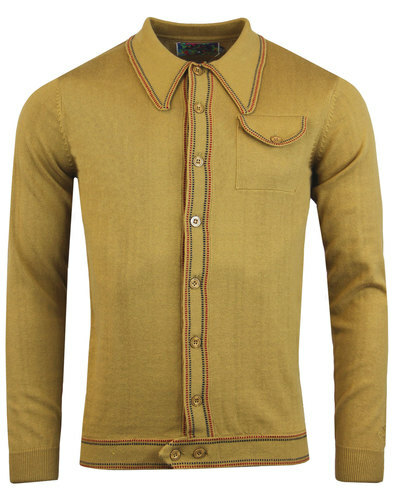 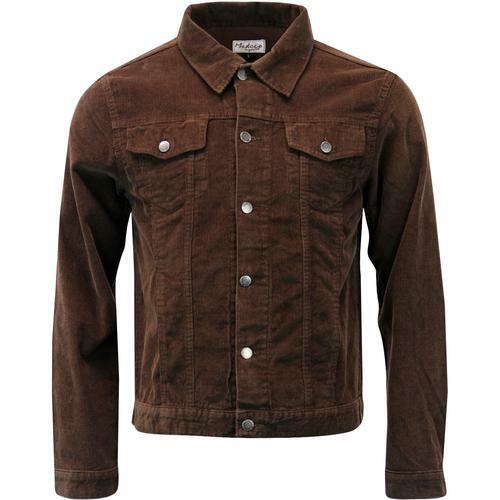 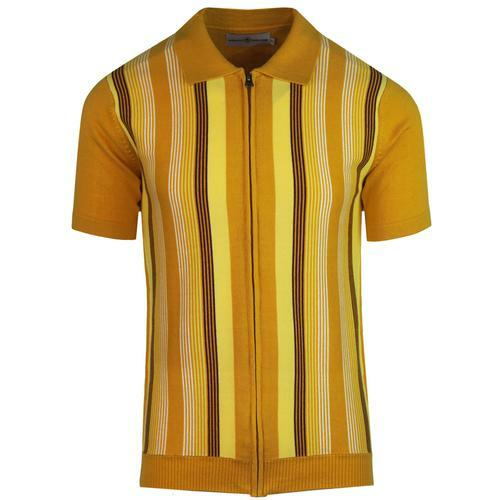 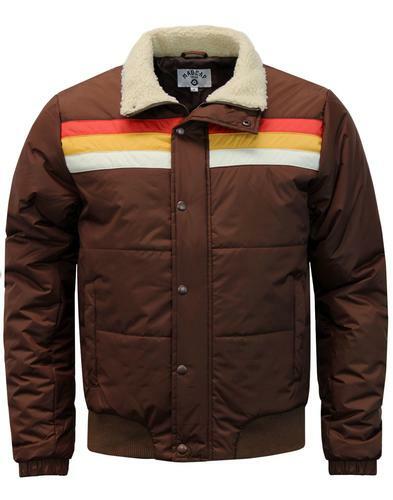 Composition: 53% polyester, 43% wool, 2% elastane. 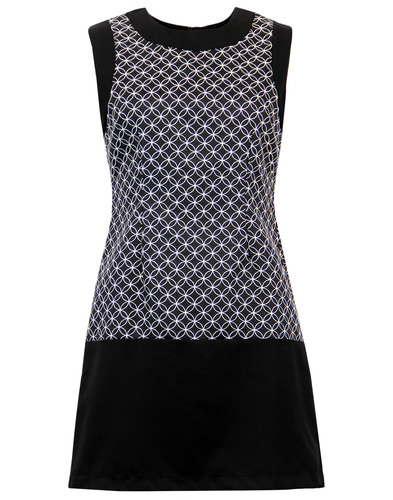 Lining 1: 100% viscose. 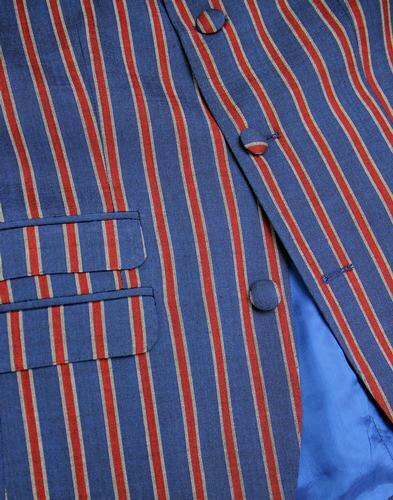 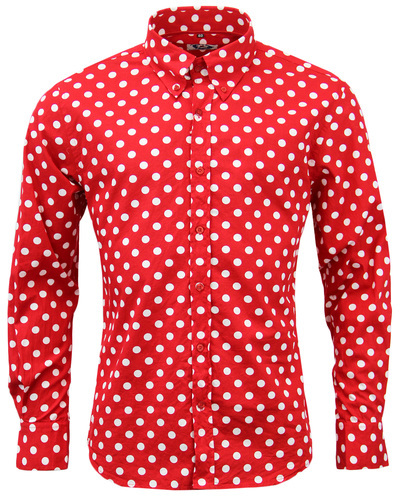 Lining 2: 100% polyester.